Godfrey Harold Hardy FRS (7 February 1877 – 1 December 1947) was an English mathematician, known for his achievements in number theory and mathematical analysis. In biology, he is known for the Hardy–Weinberg principle, a basic principle of population genetics. In addition to his research, he is remembered for his 1940 essay on the aesthetics of mathematics, titled A Mathematician's Apology. Hardy also was the mentor of the Indian mathematician Srinivasa Ramanujan. G. H. Hardy is usually known by those outside the field of mathematics for his essay from 1940 on the aesthetics of mathematics, A Mathematician's Apology, which is often considered one of the best insights into the mind of a working mathematician written for the layperson. Starting in 1914, Hardy was the mentor of the Indian mathematician Srinivasa Ramanujan, a relationship that has become celebrated. Hardy almost immediately recognised Ramanujan's extraordinary albeit untutored brilliance, and Hardy and Ramanujan became close collaborators. In an interview by Paul Erdős, when Hardy was asked what his greatest contribution to mathematics was, Hardy unhesitatingly replied that it was the discovery of Ramanujan. He called their collaboration "the one romantic incident in my life." 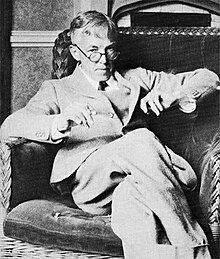 G. H. Hardy was born on 7 February 1877, in Cranleigh, Surrey, England, into a teaching family. His father was Bursar and Art Master at Cranleigh School; his mother had been a senior mistress at Lincoln Training College for teachers. Both parents were mathematically inclined. Hardy's own natural affinity for mathematics was perceptible at an early age. When just two years old, he wrote numbers up to millions, and when taken to church he amused himself by factorising the numbers of the hymns. After schooling at Cranleigh, Hardy was awarded a scholarship to Winchester College for his mathematical work. In 1896 he entered Trinity College, Cambridge. After only two years of preparation under his coach, Robert Alfred Herman, Hardy was fourth in the Mathematics Tripos examination. Years later, he sought to abolish the Tripos system, as he felt that it was becoming more an end in itself than a means to an end. While at university, Hardy joined the Cambridge Apostles, an elite, intellectual secret society. Hardy cited as his most important influence his independent study of Cours d'analyse de l'École Polytechnique by the French mathematician Camille Jordan, through which he became acquainted with the more precise mathematics tradition in continental Europe. In 1900 he passed part II of the Tripos and was duly elected to a college fellowship, a prestigious honor reserved for the top students and one that could last the rest of their lives. In 1903 he earned his M.A., which was the highest academic degree at English universities at that time. From 1906 onward he held the position of a lecturer where teaching six hours per week left him time for research. In 1919 he left Cambridge to take the Savilian Chair of Geometry (and thus become a Fellow of New College) at Oxford in the aftermath of the Bertrand Russell affair during World War I. Hardy spent the academic year 1928–1929 at Princeton in an academic exchange with Oswald Veblen, who spent the year at Oxford. Hardy gave the Josiah Willards Gibbs lecture for 1928. Hardy left Oxford and returned to Cambridge in 1931, where he was Sadleirian Professor until 1942. He was on the governing body of Abingdon School from 1922-1935. Hardy is credited with reforming British mathematics by bringing rigour into it, which was previously a characteristic of French, Swiss and German mathematics. British mathematicians had remained largely in the tradition of applied mathematics, in thrall to the reputation of Isaac Newton (see Cambridge Mathematical Tripos). Hardy was more in tune with the cours d'analyse methods dominant in France, and aggressively promoted his conception of pure mathematics, in particular against the hydrodynamics that was an important part of Cambridge mathematics. Hardy is also known for formulating the Hardy–Weinberg principle, a basic principle of population genetics, independently from Wilhelm Weinberg in 1908. He played cricket with the geneticist Reginald Punnett who introduced the problem to him, and Hardy thus became the somewhat unwitting founder of a branch of applied mathematics. Hardy's collected papers have been published in seven volumes by Oxford University Press. I have never done anything "useful". No discovery of mine has made, or is likely to make, directly or indirectly, for good or ill, the least difference to the amenity of the world. However, aside from formulating the Hardy–Weinberg principle in population genetics, his famous work on integer partitions with his collaborator Ramanujan, known as the Hardy–Ramanujan asymptotic formula, has been widely applied in physics to find quantum partition functions of atomic nuclei (first used by Niels Bohr) and to derive thermodynamic functions of non-interacting Bose–Einstein systems. Though Hardy wanted his maths to be "pure" and devoid of any application, much of his work has found applications in other branches of science. Socially, Hardy was associated with the Bloomsbury group and the Cambridge Apostles; G. E. Moore, Bertrand Russell and J. M. Keynes were friends. He was an avid cricket fan. Maynard Keynes observed that if Hardy had read the stock exchange for half an hour every day with as much interest and attention as he did the day's cricket scores, he would have become a rich man. He was at times politically involved, if not an activist. He took part in the Union of Democratic Control during World War I, and For Intellectual Liberty in the late 1930s. Hardy was an atheist. Apart from close friendships, he had a few platonic relationships with young men who shared his sensibilities, and often his love of cricket. A mutual interest in cricket led him to befriend the young C. P. Snow. Hardy was a lifelong bachelor and in his final years he was cared for by his sister. Hardy was extremely shy as a child, and was socially awkward, cold and eccentric throughout his life. During his school years he was top of his class in most subjects, and won many prizes and awards but hated having to receive them in front of the entire school. He was uncomfortable being introduced to new people, and could not bear to look at his own reflection in a mirror. It is said that, when staying in hotels, he would cover all the mirrors with towels. It is never worth a first-class man's time to express a majority opinion. By definition, there are plenty of others to do that. Hardy once told Bertrand Russell "If I could prove by logic that you would die in five minutes, I should be sorry you were going to die, but my sorrow would be very much mitigated by pleasure in the proof". Hardy is a key character, played by Jeremy Irons, in the 2015 film The Man Who Knew Infinity, based on the biography of Ramanujan with the same title. Hardy is a major character in David Leavitt's fictive biography, The Indian Clerk (2007), which depicts his Cambridge years and his relationship with John Edensor Littlewood and Ramanujan. Hardy is a secondary character in Uncle Petros and Goldbach's Conjecture (1992), a mathematics novel by Apostolos Doxiadis. Hardy, G. H. (1940) Ramanujan, Cambridge University Press: London (1940). Ams Chelsea Pub. (1999) ISBN 0-8218-2023-0. Hardy, G. H.; Wright, E. M. (2008) . Heath-Brown, D. R.; Silverman, J. H.; Andrew Wiles (eds.). An Introduction to the Theory of Numbers (6th ed.). Oxford: Oxford University Press. ISBN 978-0-19-921985-8. Hardy, G. H. (1952) . A Course of Pure Mathematics (10th ed.). Cambridge University Press. ISBN 978-0-521-72055-7. Hardy, G. H. (1949). Divergent Series. Clarendon Press. xvi+396. ISBN 978-0-8218-2649-2. LCCN 49005496. MR 0030620. OCLC 808787. 2nd Ed. published by Chelsea Pub. (1991) ISBN 0-828-40334-1. Hardy, G. H.; London Mathematical Society (1966). Collected papers of G.H. Hardy; including joint papers with J.E. Littlewood and others. Oxford: Clarendon Press. ISBN 0-19-853340-3. OCLC 823424. Hardy, G. H.; Littlewood, J. E.; Pólya, G. (1952) . Inequalities (2nd ed.). Cambridge: Cambridge University Press. ISBN 978-0-521-35880-4. ^ Sic. Ramanujan died aged 32. ^ a b Titchmarsh, E. C. (1949). "Godfrey Harold Hardy. 1877–1947". Obituary Notices of Fellows of the Royal Society. 6 (18): 446–461. doi:10.1098/rsbm.1949.0007. ^ a b O'Connor, John J.; Robertson, Edmund F., "G. H. Hardy", MacTutor History of Mathematics archive, University of St Andrews . ^ Kanigel, Robert (1991). The Man Who Knew Infinity: a Life of the Genius Ramanujan. New York: Charles Scribner's Sons. p. 80. ISBN 0-684-19259-4. ^ Hardy, G. H. (1937). "The Indian mathematician Ramanujan" (PDF). The American Mathematical Monthly. 44 (3): 137–155. doi:10.2307/2301659. ^ a b THE MAN WHO KNEW INFINITY: A Life of the Genius Ramanujan. Retrieved 2 December 2010. ^ Freudenberger, Nell (16 September 2007). "Lust for Numbers". The New York Times. Retrieved 2 December 2010. ^ Robert Kanigel, The Man Who Knew Infinity, p. 116, Charles Scribner's Sons, New York, 1991. ISBN 0-684-19259-4. ^ "Hardy, Godfrey Harold (HRDY896GH)". A Cambridge Alumni Database. University of Cambridge. ^ Wolfram, Stephen (2016). Idea Makers: Personal Perspectives on the Lives & Ideas of Some Notable People. Wolfram Media, Inc. p. 174. ISBN 978-1-5795-5-003-5. ^ "G H Hardy's Oxford Years" (PDF). Oxford University Mathematical Institute. Retrieved 16 April 2016. ^ Hardy, G. H. (1929). "An introduction to the theory of numbers". Bull. Amer. Math. Soc. 35 (6): 778–818. doi:10.1090/s0002-9904-1929-04793-1. MR 1561815. ^ "School Notes" (PDF). The Abingdonian. ^ Bohr, Harald (1952). "Looking Backward". Collected Mathematical Works. 1. Copenhagen: Dansk Matematisk Forening. xiii–xxxiv. OCLC 3172542. ^ Hardy, Godfrey Harold (1979). Collected Papers of G. H. Hardy – Volume 7. Oxford: Oxford University Press. ISBN 0-19-853347-0. ^ Titchmarsh, E.C. (1950). "Godfrey Harold Hardy". J. London Math. Soc. 25: 81–138. ^ a b Khan, Haider Riaz (18 September 2014). "GH Hardy, the mathematician who loved cricket". Cricket Blogs. ESPNcricinfo. Retrieved 19 September 2014. ^ a b C. P. Snow, Foreword, in: G. H. Hardy, A Mathematician's Apology, Cambridge University Press, 1967, pp 26–27. ^ C. P. Snow, Variety of Men, Penguin books, 1969, pp 25–56. ^ Gaither, Carl C.; Cavazos-Gaither, Alma E. (2012). Gaither's Dictionary of Scientific Quotations. Springer. p. 1645. ^ Quoted in Bertrand Russell, Logical and Philosophical Papers, 1909–13, Routledge, 1992, p. xxix. ^ George Andrews (February 2016). "Film Review: 'The Man Who Knew Infinity'" (PDF). Notices of the American Mathematical Society. ^ Taylor, D. J. (26 January 2008). "Adding up to a life. Review of The Indian Clerk by David Leavitt". The Guardian. Retrieved 21 April 2016. ^ Devlin, Keith (1 April 2000). "Review: Uncle Petros and Goldbach's Conjecture by Apostolos Doxiadis". Mathematical Association of America. Retrieved 21 April 2016. ^ Szász, Otto (1950). "Book Review: G. H. Hardy, Divergent series". Bull. Amer. Math. Soc. 56 (5): 472–473. doi:10.1090/s0002-9904-1950-09415-4. Kanigel, Robert (1991). The Man Who Knew Infinity: A Life of the Genius Ramanujan. New York: Washington Square Press. ISBN 0-671-75061-5. Snow, C. P. (1967). "Variety of Men". London: Macmillan. Albers, D.J. ; Alexanderson, G.L. ; Dunham, W., eds. (2015). The G.H. Hardy reader. Cambridge: Cambridge University Press. ISBN 978-1-10713-555-0. Wikimedia Commons has media related to G. H. Hardy. O'Connor, John J.; Robertson, Edmund F., "G. H. Hardy", MacTutor History of Mathematics archive, University of St Andrews . Weisstein, Eric Wolfgang (ed.). "Hardy, Godfrey Harold (1877–1947)". ScienceWorld.